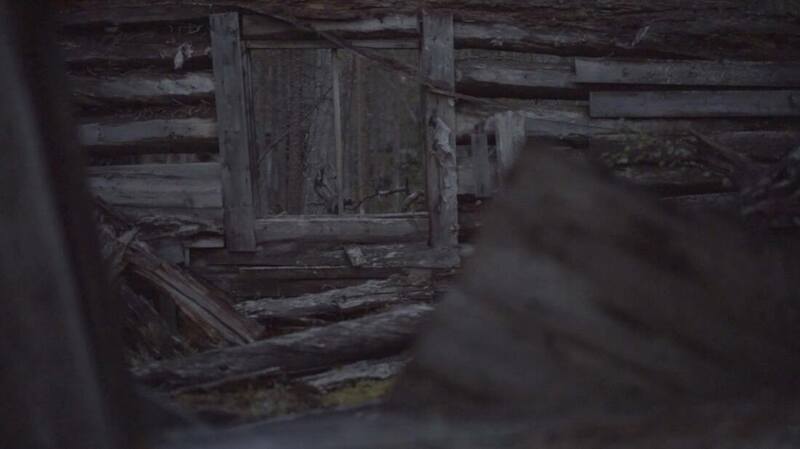 Grey Logs is an alternative art-archaeological documentation of the Second World War German military occupation sites in the Finnish Lapland and a dance research focusing on the story of Elsa Puolanne (1906-1996). Summer 1944 Puolanne-group was toured through Lapland. For a lack of archival footage or eye witnesses, the film explores an alternative archaeology. Combining dance, nazi drawings and artefacts, slowly decomposing prisoners of war camps are reinterpreted. The film investigates lasting impacts of the war. The documentary film explores the impossibility of embodying an already gone historical event. However, an intensification of various agents sensible at the archaeological sites (directions of light, smell, insects, ghosts, trees, swamps) enabled one to reach beyond the skin, towards the past.